Tom’s a funny genius. But does it run in the family, or is Tom just a talented oddball? Find out in this nutty book, which includes EXCELLENT activity pages! Mr Fullerman – Tom’s grumpy teacher – has set the class a new assignment: making a family tree! Is Tom just a random stroke of genius? Or were his ancestors equally AMAZING? 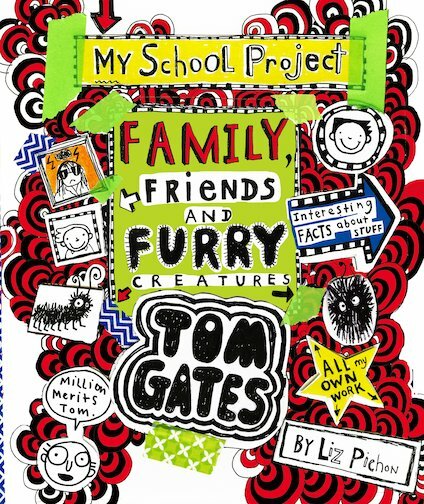 Tom can’t wait to find out all about the Gates family, his friends and a furry creature or two! But what is that squeaking sound coming from his shoes…? Follow Tom as he discovers his amazing family tree! When Liz was little, she loved to draw, paint and make things. Her mum used to say she was very good at making a mess (which is still true today!). She kept drawing and went to art school, where she earned a degree in graphic design. She worked as a designer and art director in the music industry, and her freelance work has appeared on a wide variety of products. 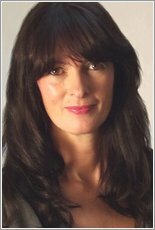 Liz is the author-illustrator of several picture books. Tom Gates is the first series of books she has written and illustrated for older children. They have won several prestigious awards, including the Roald Dahl Funny Prize, the Waterstones Children’s Book Prize, and the Blue Peter Book Award. The books have been translated into forty-one languages worldwide.